Slovenia is one of the most beautiful countries in Europe and has fast gained a reputation for its various outdoor activities and natural attractions amongst travelers. Unsurprisingly, more than half of the country is included in the Natura 2000 European network of nature protection areas, intended to preserve biodiversity. The country includes a national park, three regional parks and 45 landscape parks. Find out what the best ones have to offer. Summit view of Lake Bohinj in Triglav National Park | © Gilad Rom/Flickr. Triglav National Park is widely regarded as one of the oldest and most beautiful parks in Europe, and the only national park in Slovenia. It encompasses nearly the entire Eastern Julian Alps and four percent of Slovenia’s territory. The park stretches across the northeastern part of Slovenia and features everything from the snowy summits of Mount Triglav in the heart of the park, to unspoiled beaches and the serene Valley of Triglav Lakes. Guided tours as well, as countless bicycle trails are easily accessible and Triglav is also home to one of Slovenia’s best ski resorts, Vogel Ski. Regardless of the time of year, Triglav offers stunning views and exciting outdoor activities for everyone. The whole of Strunjan Landscape Park encompasses 428 hectares of Slovenian peninsula, including four kilometers of the Slovenian Riviera along the Adriatic Sea. This majestic park contains the Strunjan Nature Reserve and is home to several important plant and animal species, as well as various untouched ecosystems. It also has several cycling paths, gorgeous hidden beaches, and important historical sites. This park is particularly known for its large part in the preservation of many different bird species in Slovenia and is an ideal place to pass an afternoon listening to nature’s own melodies. Strunjan 152, 6320 Portorož, Piran, Slovenia,+386 08 20 51 88. History lovers and anthropology enthusiasts will find an abundance of exciting activities at the Goričko Nature Park, one of the best historic parks in Slovenia. This nature park is located in, and shared by, Austria, Hungary and Slovenia, and contains relics of each culture’s history from traces of prehistoric urns to old mills and farmhouses. Here, you can also savor the traditional Goričko dishes and noble Goričko wines while visiting the oldest castle in Slovenia. The park is equipped with several bicycle paths winding throughout its expanse of rolling hills, a well-marked hiking trail up Pomurje Mountain, as well as the established Nordic Walking trails for the athletically inclined. The Notranjska Regional Park, located in southwestern Slovenia, has inspired literature, research, and awe for hundreds of years. There you can admire three-quarters of all Slovenian species of butterflies, two-thirds of all Slovenian species of birds and more than three-quarters of all Slovenian species of amphibians. This well-preserved variety of wildlife thrives from Lake Cerknica, an intermittent lake within the park. Mysteriously, the entire lake, complete with its aquatic life drains and disappears at intervals throughout the year; when it is completely full it is the largest lake in Slovenia. This park also contains several caves and grasslands to explore at leisure. 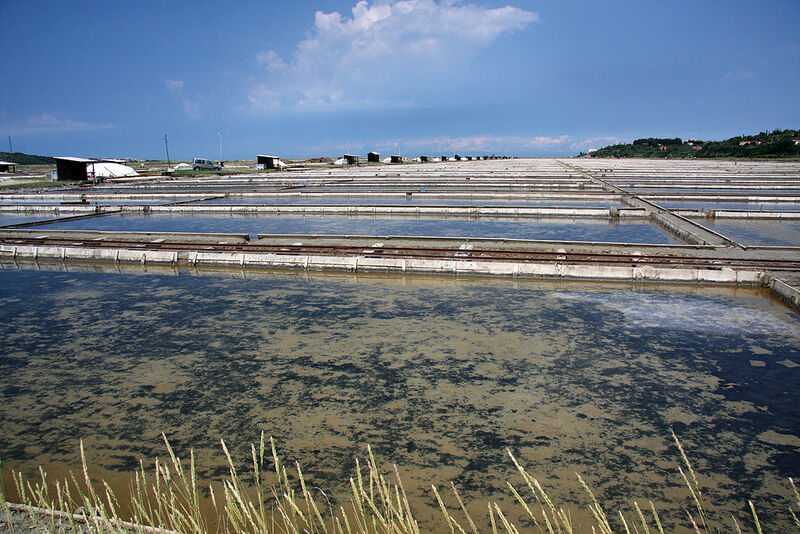 At Salina Nature Park ‘the past and present walk hand in hand’; this nature park is one of the only places in the Mediterranean where traditional salt-making is still practiced by Piranese salt-makers. The park offers two distinct areas for you to explore: the Lera, where salt is still harvested, and the Fontanigge, where nature lovers can find a variety of birds, extensive meadows of salt-dependent flora, and over 100 abandoned and demolished salt-pan houses. This nature park is an alternative to traditional mountains and rivers and makes for a uniquely Slovenian outdoor experience.